The Gene Siskel Film Center’s 21st annual Chicago European Union Film Festival has screened 61 films from all 28 EU Nations, completing its month-long festival on April 5. Of these 61 films, nine were created by women (roughly 14.8 percent, down from last year’s record high of 25 percent). Having seen all nine films, it’s an absolute pleasure to say I loved each and every one for their own unique contributions to storytelling, cinematography, and filmmaking itself. There are, however, three films that truly stand out, two of which you still have a chance to see before the festival closes. Recommending films ranging from dramatic narratives to compassionate documentaries, FF2 Media has compiled individual “Best of the Fest” lists from three Chicago team members. Click HERE for more coverage. Writer and director Hanna Antonia Wojcik Slak brings us The Miner, based on the memoir “Nobody” by Mehmedalija Alic. 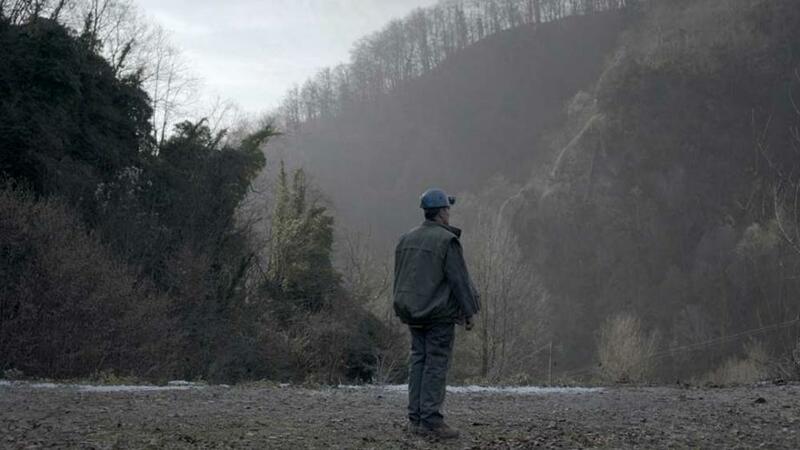 It’s a hauntingly visceral tale of a miner, Alija (Leon Lucev), who finds a long-buried secret putting into question his own history as well as his future. Alija is a refugee from Bosnia where his family and village had been decimated as a young boy. Now married with children and working in a mine, the company directs Alija to inspect a closed tunnel, known to the locals, but not to him. Using his skills as a seasoned miner, he unearths the horrors of a war-torn country and then faces his own ghosts and his conscience to make the right decision---at a potentially dire cost. It’s a captivating and devastating film reminding us of the importance of equality, dignity and humanity. Mademoiselle Paradis co-written by Barbara Albert and Kathrin Resetarits and directed by Albert, tells the true story of Maria Theresia Paradis (Maria Dragus), a blind pianist and composer from the 18th century. Paradis is from a wealthy family who goes to any means to help their daughter regain her sight. The horrific “treatments” obviously do not work and their last resort is a new doctor (Devid Striesow) who practices what looks to be a form of Reiki, a healing massage. Miraculously, her vision returns, but at the cost of her ability to play her beloved music. Dragus’ performance is exquisite as she embodies the blind musician, creating a thought-provoking situation of the price we place on our senses and abilities. This unknown composer’s work should be in the mainstream along with her uniquely touching story. Clio Fanouraki writes and directs Xamou, a story of a man who has lost his job and his wife, and finds himself reconnecting with his island’s rich history in his quest to stand on his own two feet again. Johnny (Georges Corraface) gives a solid performance as a man whose eyes are beginning to open, seeing the beauty and tasting the treasures of Crete while truly getting to know the people here. It’s a gorgeous film that embraces Crete, allowing the viewer to accompany Johnny on his journey of discovery. Additionally, Tonie Marshall’s Number One is everything that Meera Menon’s Equity is not and Egle Vertelyte’s Miracle from Lithuania draws an edgy parallel line with the U.S. political state of affairs. While the percentage of female filmmakers at this year’s Chicago European Union Film Festival is disappointing, the quality of the films created by women shown here rivals and exceeds any of its male counterparts. These are beautifully told stories of various genres to entertain, enlighten and engage viewers—exactly what films (no matter the gender) are meant to do. Go to www.siskelfilmcenter.org for a schedule of these films.